I knew it. These were the first words that entered my mind when I saw that Emily Collins had won a UCI race and taken the first UCI win of her career and the first UCI win in history for Wiggle Honda Pro Cycling. Emily Collins might have been unknown to the peloton but her ability was very clear to me from the moment she caught my eye at the end of last year in Europe. At the end of last year, Emily had come to Europe from the States to prepare for the World Championships, she had been selected by the New Zealand cycling federation to compete at her first World Championship. 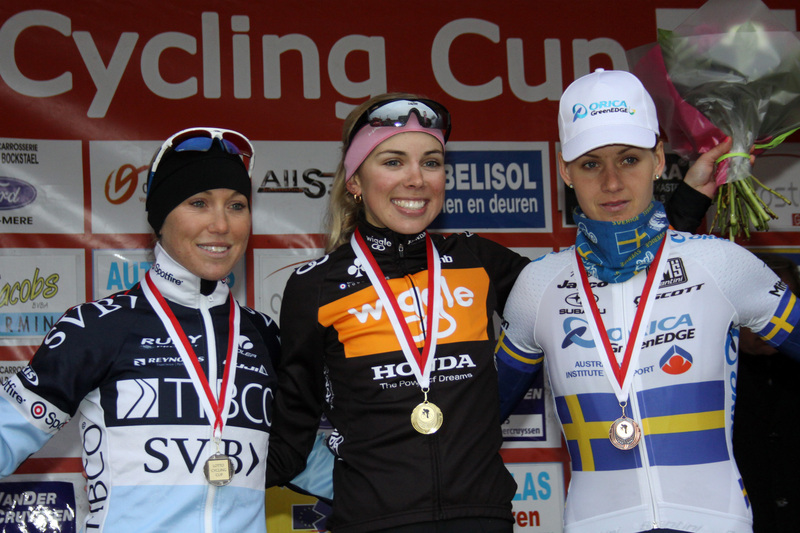 It was at the Lotto Decca Tour in Belgium at the end of 2012 where I first met Emily and noticed her talent. I remember thinking she was like the Energizer Bunny – attacking continuously and chasing everything. She was riding as an individual with nothing to fear, she just kept going and going all race and then, she would still sprint into the top 10! 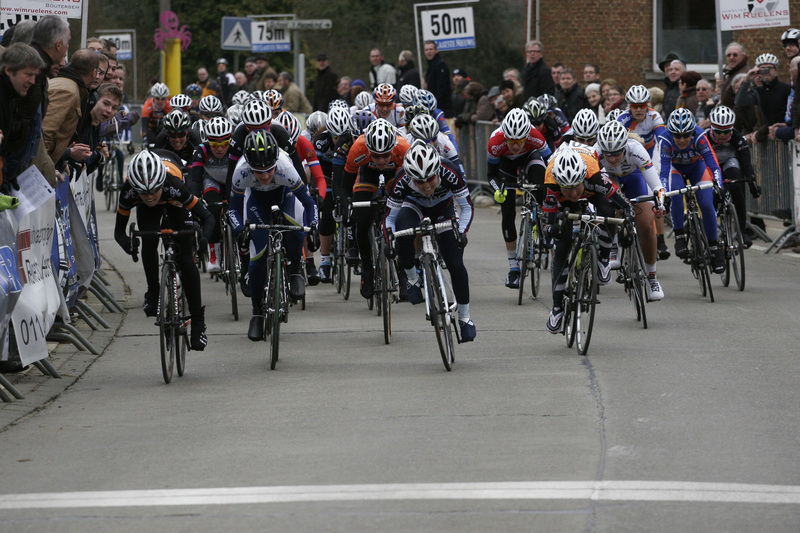 I’m not sure if Emily’s aggressive racing style and ability to sprint was noticed by anyone else but from this moment, I went to work making sure she would be riding for my team in 2013. Emily was not a simple signing. Signing a rider from New Zealand or Australia comes with its responsibilities and additional workload. I knew that I could not sign Emily without providing her with what she needs in order to develop and reach her potential. Without any outside influence, I had my heart set on signing this rider. 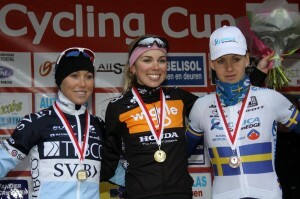 I wanted her to be a part of the new UCI team which was in its final steps of creation. Employing a rider from New Zealand involves Visa’s and finding accommodation etc. My main concern was not just finding Emily a base but more so, finding her the perfect base! Our team have a couple apartments just north of Brussels where our service course is based and these apartments are rented with the purposes of athletes having a place to come and go before and after races. I could have easily offered Emily the opportunity to stay there permanently however it wasn’t going to be perfect for the type of rider she is. It was my desire to accommodate Emily in Oudenaarde in the Flanders region. This location would be perfect for Emily’s training while still being relatively close to the team base. As it turns out, the New Zealand national track team are based there during the road season. In the end, I was able to secure the ideal accommodation for Emily in a good training environment with Kiwi company… this meant I was confident that Emily could develop and reach her potential during her first year full time in Europe. Emily has had a perfect lead up to this race, she raced the Bay Criterium Series in Australia, then the Tour of Qatar, Het Nieuwsblad, La Samyn (where she showed her capabilities by winning two intermediate sprints) and then today’s race. Emily was staying in the team house between these races and bonded well with her teammates from the UK, Germany, Japan and Australia. The athletes were motivating each other on and off the bike and enjoying life and their new environment. The athletes at the team base have had great support from our team director, mechanic and masseur, all staying in the vicinity. In addition, they have the opportunity to ride and socialize with a group of male cyclist living and training in the same area. 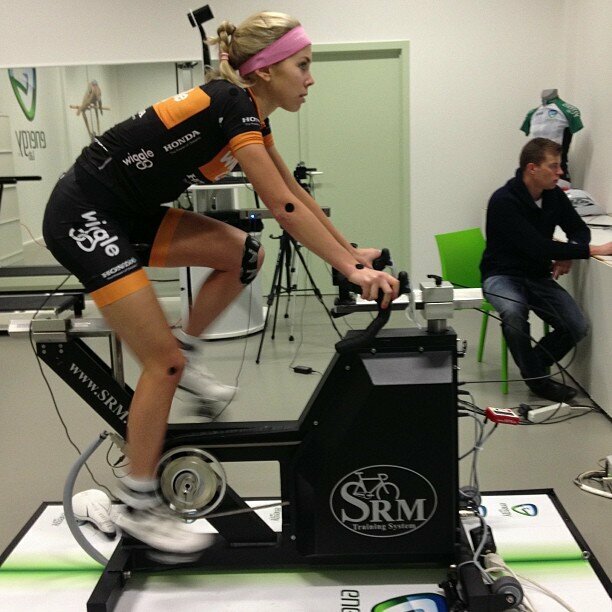 Once the classics team had settled into the team base, they spent one day at EnergyLab’s testing facility. During their visit they had a DEXA scan, VO2 max and power testing as well as biomechanics sessions to ensure their bikes were set up correctly. 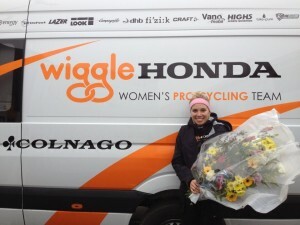 Wiggle Honda have sourced the best of the best when it come to equipment so it was extremely important that we capitalized on this by ensuring Emily was correctly set up. There was not much missing from Emily’s environment and the lead-up to this VERY impressive performance. (My guess is that being on the other side of the world from her family and close friends at the age of 22 would be her greatest challenge). Simon Cope, the director of Wiggle Honda has played an important role in Emily’s preparation, sharing his experience and knowledge and making Emily and the team believe in their capabilities. Simon has spent some time at the team base so he can work closely with the athletes and supervise their training etc. Apart from Simon’s exceptional planning skills, he has a way with his athletes that earns himself respect. I’m sure our athletes want to perform in order to impress their director. How do I feel? I’m so happy for Emily, the team, Simon & our sponsors! Everyone has played a huge part in setting up the team and achieving our first win. Thank you to all involved. 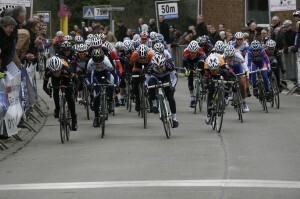 Podium Omloop Van Het Hageland.